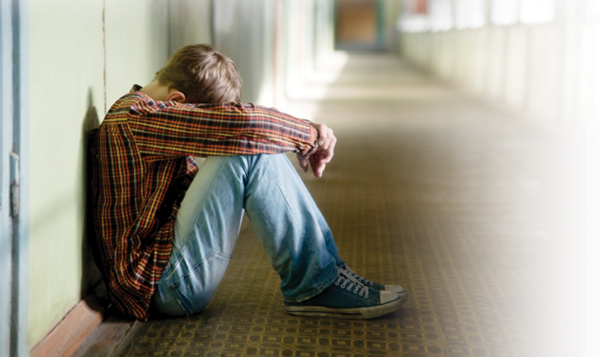 All teens, just like any adult, feel anxious from time to time as a normal reaction to stressors. Going on a date, speaking in public, meeting new people, competing in sports, performing on stage, and taking exams are some of the things that make us feel apprehensive. However, some teens experience severe anxiety than others. Some even feel severe anxiety by just thinking about the situation that has yet to happen. And when someone experiences episodes of panics or develops irrational fear over certain events or problems, it is known as anxiety attack. When is too much anxiety too much? Excess anxiety is when you feel worry, anxious and afraid for no apparent reason at all. Under normal circumstances, teens worry because of specific things (like what was mentioned above). But there is an obvious difference between healthy anxiety and irrational anxiousness. Teens during an anxiety attack tend to react disproportionately over simple things or events that seem not to cause any excessive anxious reaction to others. In other words, too much anxiety is an unusual reaction over simple or trivial things. What are the signs and symptoms of anxiety attacks? Different people react to situations differently. Hence, there are really no uniform symptoms of anxiety attack that are present to all. Nonetheless, teens may show some or all of the following signs: shortness of breath, chest pain, heart burn, smothering sensation, sweating, shivering, chilling or shaking, numbness in the head and face, neck and shoulder pain, palpitation, derealisation or depersonalization, hyperactivity, dry mouth, fear of going crazy, headaches, stomach pain, and other body pains. Take note that some of the mentioned signs and symptoms can be caused by other medical, psychological, and physical conditionals. They can also be the effects of current medical treatment, side effects of certain medications or the body’s natural reaction to stimuli. What are the available remedies for anxiety attacks? Severe cases of anxiety attacks may require prescription drugs to control or reduce its symptoms. Prescription drugs may be antidepressants and benzodiazepines. Antidepressants may take some weeks to take effect so it is important to continuously take medications and not just during an attack. Benzodiazepines, on the other hand, have quick relief effects, usually within 30 minutes, but they are highly addictive, thus it should be used with caution. Remember that medication should not be the first treatment option as there are other effective ways to combat the effects of anxiety. Cognitive behavioral therapy (CBT) is one of the most effective ways to treat anxiety attacks or any anxiety disorder for that matter. CBT focuses on the thinking pattern of the patients and replaces negative thoughts with positive ones. Exposure therapy exposes the person to the physical sensations of panic in a safe and controlled environment. Through repeated exposure, patients gain greater self control and more confidence in facing fearful situation. Proper diet, regular exercise and sufficient sleep bring balance to the body, which help reduce the episodes of anxiety attacks. Massage, aromatherapy, relaxation and breathing techniques promote wellness, relax muscles and ease muscle tension. Herbal treatments naturally relieve stress and restlessness associated with anxiety, thus solving anxiety problem. Thinking positively and talking to a supportive person help stop the occurrence of anxiety attacks.